Dr. Gino Aisenberg is a bilingual/bicultural Latino mental health researcher. His interests focus on three interrelated areas: 1) traumatic exposure of children and families to community violence, including effects at the individual, family and neighborhood levels, 2) depression care for adults, and 3) evidence-based practice. Dr. Aisenberg’s teaching, research and scholarship are deeply informed by culture and context. They emanate from a staunch commitment to marginalized and diverse populations—to promote inclusion of their voices and to address disparities in the access and utilization of mental health services. Dr. Aisenberg is engaged in important partnerships with community-based agencies serving rural and marginalized communities. He is the chair of the School’s Community-Centered Integrative Practice Concentration. In 2013, Dr. Aisenberg was named associate dean of the UW Graduate School with responsibility to promote and advance diversity and inclusion across graduate programs of study. In 2012, he was named the Graduate School’s inaugural leadership professor. His responsibilities included assisting with the Graduate School's outreach efforts in support of diversity and helping design and develop additional diversity-related initiatives. Dr. Aisenberg is the founding co-director of the Latino Center for Health, an interdisciplinary, community engaged research center invested in promoting the health and well-being of Latinos through collaborative research, policy and practice efforts. The Latino Center for Health is the first research center in Washington state to focus on the health of the Latino community. It was launched in 2014 and received funding from the Washington state legislature in 2015. In 2009, Dr. Aisenberg received the University of Washington Distinguished Teaching Award for his excellence in teaching as well as his exemplary commitment to mentoring students, particularly ethnic minority students. 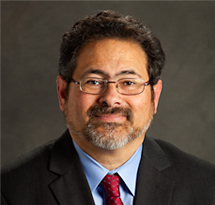 He is a member of several organizations including the Society for Social Work and Research, the Council for Social Work Education, and the Association of Latino Social Work Educators.